The News was very sad to hear of the death of Mike Howes at the age of 76, after a long illness. Mike died peacefully, at home in Chipping Norton, with wife Terry, daughters Julie and Sarah, together with the Lawrence Home Nursing Team. “Gramps” was much loved by Katie, Megan, Cameron, Hugo and Fraser. He will be hugely missed by everyone. 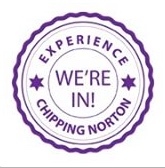 He had just received an Honorary Citizenship of Chipping Norton after his many years of service to the community. We hope to have a full tribute to Mike in our April print edition, after his funeral and thanksgiving service. The News team has sent the family their sincerest condolences. Mike’s funeral is on Friday 28 February at Banbury Crematorium (OX16 1ST) at 12pm (noon). There will be a Celebration of Life at St Mary’s Church, Chipping Norton at 3pm. Immediate family flowers only, please. This entry was posted in local people and tagged Chipping Norton, death, Honorary Citizen, Mike Howes, St Mary's Church. Bookmark the permalink.